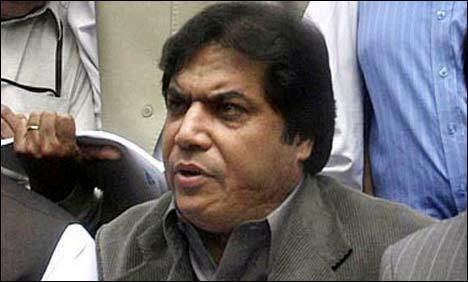 ISLAMABAD: The Supreme Court (SC) on Tuesday dismissed Pakistan Muslim League-Nawaz (PML-N) leader Hanif Abbasi’s appeal against a high court order directing to conclude ephedrine case against him until July 21. As a two-judge bench of the apex court took up the appeal, Abbasi’s lawyer Kamran Murtaza argued that the ephedrine case was set to be heard on August 2. The petitioner Shahid Orakzai, however, said that Lahore High Court’s (LHC) Rawalpindi Bench has ordered a swift trial of the case from July 16 onwards and to be concluded on July 21. Murtaza argued that high court cannot change the trial’s date. Upon this, Justice Ijazul Ahsan remarked that in fact, under Article 203 of the Constitution, the high court has the authority to do so. The court then dismissed Abbasi’s petition. On July 11, LHC Rawalpindi Bench decided that a case pertaining to narcotics smuggling against PML-N leader Hanif Abbasi will be concluded on July 21. Justice Abdul Rehman Lodhi, during the hearing, also ordered that daily proceedings regarding the case should be conducted from July 16. Earlier in June 2012, the Anti-Narcotics Force (ANF) booked Abbasi and his accomplices under several sections of the Control of Narcotics Substances (CNS) Act. The PML-N leader allegedly sold the drug illegally to narcotic smugglers who used it to make ‘party drugs’. The PML-N leader, his brother and other accomplices were indicted in 2014 by a CNS court. Earlier on April 20, Abbasi requested Judge Muhammad Akram Khan to unfreeze his accounts.